Do you need some important files that must lasts forever in your computer?? Make a undeletable folder and get your important files in it. Thinking its not possible.. it is possible now. 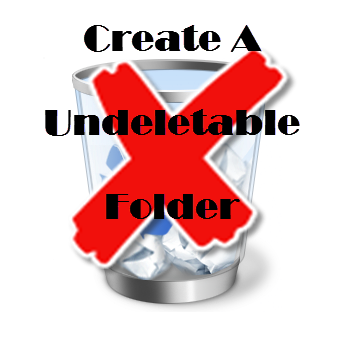 In this tutorial I am going to show how one can create a folder that can not be deleted. Step 2: In the Command Prompt Window that opens, type the drive letter in which you want to create the folder. >>>This folder cannot be created in C: drive… so try in other drives. This will create a undeletable & Unrenamable folder named “con” in the specified location. Ex: md aux will also work! Don’t need that folder?? Here is the way to delete it. Protect Your Facebook Account From Hackers! !